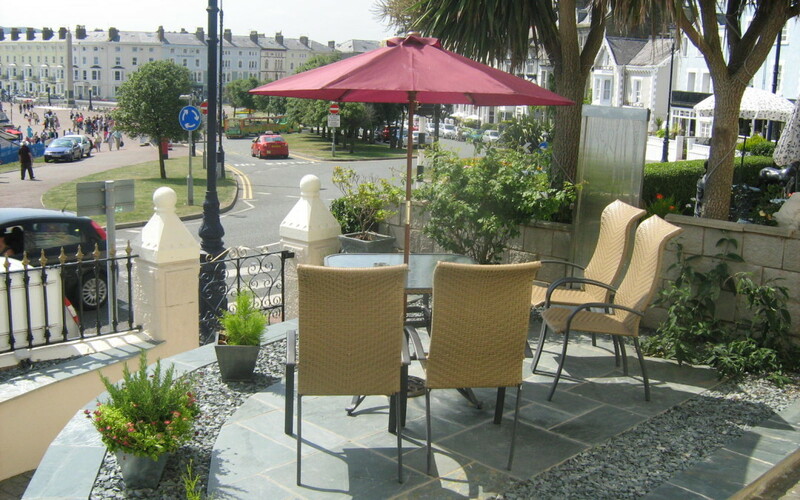 Here at the Elm Tree Hotel in Llandudno we are already getting prepared for the warm weather due to return in spring with our new hotel garden area. Naturally there will be plenty happening to entertain you for the rest of autumn and winter at the Elm Tree with our Halloween party and much more just around the corner. It is only a couple of weeks until our annual Halloween celebration in our sister pub the Queen Vic just over the road from the hotel. It will take place on the 2nd of November and before you know it Christmas will be here! Winter brings a whole host of great, festive events to Llandudno as the town erupts in magical lights and Christmas spirit. The Elm Tree hotel in Llandudno also hosts regular, live performances from local singer Hailidh Ramsay at the Queen Vic pub. Good food, good entertainment and good company will keep you warm and happy throughout the colder months in Llandudno. In addition to all the cold weather entertainment available we are already getting excited for the return of the sun and making sure that the Elm Tree is the best place to enjoy your summer. In front of the hotel you can now enjoy a drink, gazing out over the bay in our idyllic new front garden area which has been completely revamped ready for the sunshine. 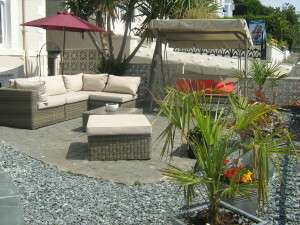 A gorgeous new patio has been put in with a lovely seating area featuring attractive benches, parasols and chairs. Guests can now relax in the warm sunshine when spring and summer return to the town and even on pleasant winter days. Llandudno is a top summer holiday destination so get your bookings in early for a fabulous holiday and the opportunity to experience our brand new garden! We have completed some gorgeous landscaping in front of the hotel to compliment the new patio and provide guests with a delightful and charming garden space which emphasises the stunning views from the hotel and Llandudno’s natural beauty. 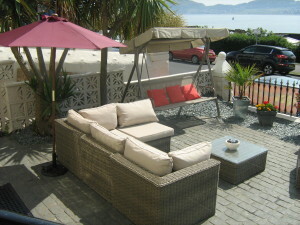 You can now lounge around our beautiful patio garden with a delicious drink and benefit from one of the best views in Llandudno. Come and visit our beautiful and tranquil new garden which overlooks sights such as the Llandudno Pier, the Great Orme, the beach and the open sea. I see that your hotel has a lift but is it wheelchair friendly regarding access and parking.